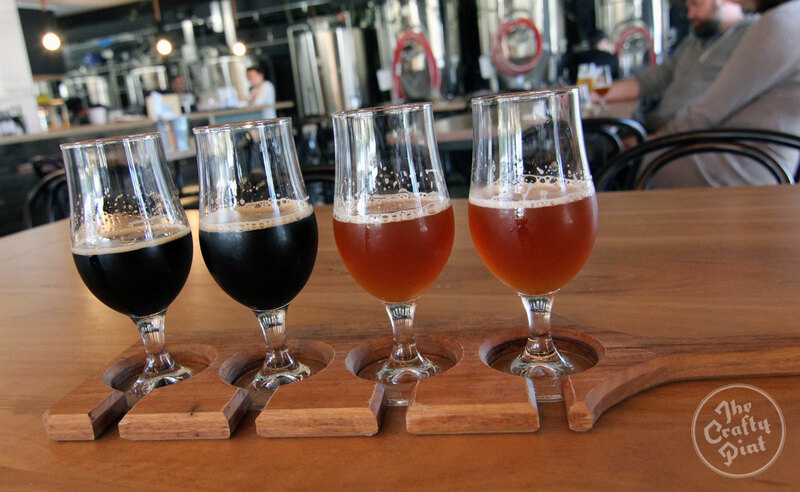 An envy inducing level of serendipity exists at the heart of new Queensland brewery Brouhaha. And a swift chat with head brewer and part-owner Matt Jancauskas explains just why. 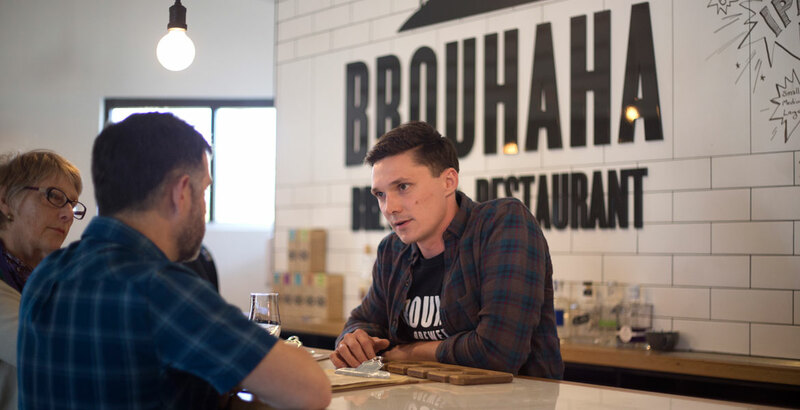 Nestled in the mountainous glory of Maleny, in the Sunshine Coast Hinterland, Brouhaha came to life when Matt joined forces with locals last October, following a two year stint working for highly fancied London microbrewery Beavertown. But his path to brewing began prior to heading overseas, when he frequented Archive Beer Boutique when it first opened in Brisbane. So he did. From the most unlikely of places. Progressing from a role in packaging to production manager in his time there, Matt was present throughout several stages of the brewery’s substantial expansion. Brouhaha won’t be needing a canning line – million dollar or otherwise – anytime soon, but Matt’s invaluable experience at Beavertown and a degree in electrical engineering is a ballistically practical background to have in this industry. “It’s just been ridiculously fortuitous and I’ve always said a brewery would suit Maleny,” he says. Matt's new toys: the entire brewery would fit inside one of Beavertown's 120 hectolitre fermenters. The locals knew this as well, and had for a long time. The business name already existed for two and half years before it opened its doors for the first time and the site that would eventually house the brewery had been empty for five. After conducting multiple interviews with brewers over this timespan, it took Matt’s return from the UK to finally jumpstart the business. 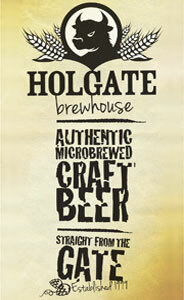 With the bar fully operational now for close to two months, Brouhaha already has nine solid brews in its current range. One of the reasons for such a respectable range right off the bat is Matt’s keen interest in batch splitting, a handy technique to trial a variety of new brews from one base recipe, particularly when he’s working with such a limited number of tanks. It has seen him split a number of batches in two and treat each half batch differently. Thus the bar is currently pouring both a dry-hopped and a raspberry saison, a milk and a coffee stout and two IPAs: one straight American style and one fermented with passionfruit. He’s not wrong either. The straight-outta-the-tank Passionfruit IPA and the Raspberry Saison are absolute corkers. Holy heck. In fact, they’re all delicious, the split batch brews sitting happily alongside a sessionable, crisp blonde and the already popular NZ hopped pale – all coming with their own cartoon accompaniment scrawled onto the white tiles behind the bar. A pair of stouts and a pair of IPAs from Brouhaha's split batches. Whilst employing the mid-winter chill to fuel the idea of a Russian imperial stout, Matt is simultaneously collaborating with a local winemaker to acquire barrels, a concept which has a distinct whiff of summer sours about it. There’s no doubt that a well-planned brewing schedule (that hopefully features a range of split-batch, fruited kettle sours) bodes well for all involved. With an already well-established, loyal demographic and busy Friday and weekend trade, punters are settling in comfortably among Brouhaha’s accommodating aesthetics. Hanging plants and industrial copper light fittings overlook mottled polished concrete, with a beautiful bar of huge hardwood sleepers rolling into a tiled back bar and taps that pour directly from the cold room. The versatility of the space will serve future events well whether it be single batch or collaboration launches, meet the makers or degustations; there’s just so much potential here. 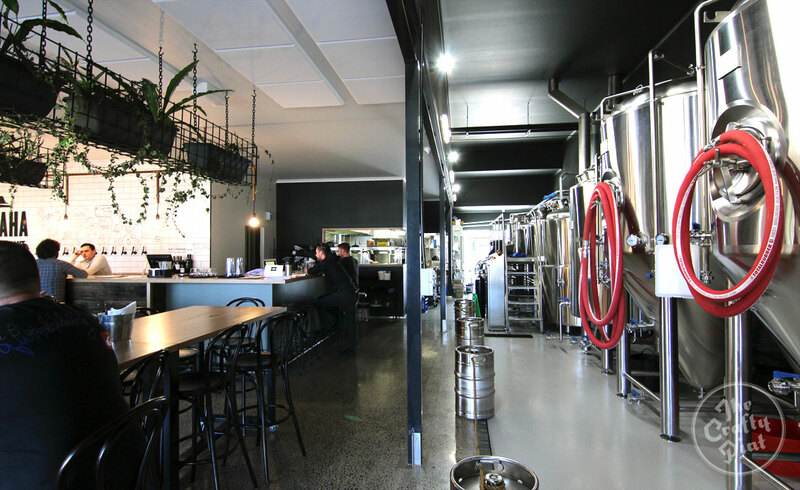 The only thing Matt, the other owners, the staff and their patrons are collectively waiting on is the wholesale licence that will allow squealers, growlers and kegs to travel directly from the brewery to homes and venues alike. They’re not waiting with bated breath, however; the experience of myriad brewers and venue operators suggests no mere mortal can employ such a tactic when it comes to government related bureaucracy. But when that last hurdle is leapt Brouhaha will be set. With an opening salvo of beers that must rival any from a new Australian brewery at launch, there’s a bright future ahead, especially if Matt's experience and that of his bar manager, Iain Walker, serendipitously also of Beavertown, is anything to go by. Brouhaha is at 6/39 Coral Street, Maleny, and you're best to head there between Wednesday and Sunday if you want to find it open.